Stephen King film adaptations have always been hit and miss, for every Shawshank Redemption you get a Sleepwalkers, every Misery a Dark Tower and so on. 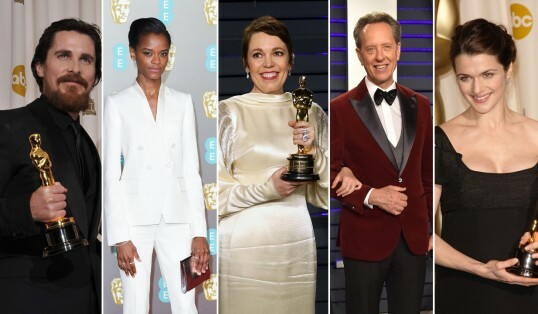 For over 40 years, Hollywood has latched onto King’s tomes with mixed results. Originally adapted in 1989, Pet Sematary – easily King’s bleakest novel – gets the Hollywood treatment once again. King has gone on record to say that he was extremely hesitant to publish Pet Sematary when he wrote it back in the early 80s. A deeply distressing tale of grief, anxiety and paranoia, King felt that the abandoned hope the novel elicited was taking it too far for his readership. Based on his own experiences and with echoes of W. W. Jacobs The Monkey’s Paw, Pet Sematary tells the story of the Creed family, headed by Louis (Jason Clarke) his wife Rachel (Amy Seimetz) and their two children, Ellie and Gage (played by Jeté Laurence and twins Hugo and Lucas Lavoie respectively) who move to rural Maine to start a new life. Things start to become decidedly more sinister when a cemetery is discovered within the boundaries of their land, a place where the local children bury their pets. When the Creed’s family cat Church is hit and killed by a truck on a dangerous highway at the foot of the family home, their neighbour Jud (John Lithgow) takes Louis to a burial ground that lies beyond the cemetery, a place where if you bury the dead, they come back. King’s tale has an aura of the macabre surrounding it from the opening titles with directors Kevin Kölsch and Dennis Widmyer opting to foreshadow under the canopy of a menacingly retro score, courtesy of Christopher Young. If you haven’t seen the trailer (which gives away a huge twist) this could be considered a bold move, as you try to decipher how this version may differ from the ‘89 original and indeed, the novel. This nuanced and subtle approach carries on throughout the first act as we get to learn more about our characters. Louis has a sceptical outlook where science and reason take precedent, Rachel is haunted by the memory of her dead sister Zelda (a hugely underused asset where its strongest scares can be found) and Jud’s mournful and lonely existence is alleviated by the arrival of the Creeds. The tone is soaked in fearful anticipation, you get the obligatory jump-scare here and there but there is a genuine unnerving sense that something wicked is on the horizon. Having a limited cast allows the interplay from Jeff Buhler’s script to resonate with the audience, which adds some emotional weight when tragedy strikes in the form of an over-the-top crash sequence that, although orchestrated with some fine editing, worked a lot better in the ‘89 version. 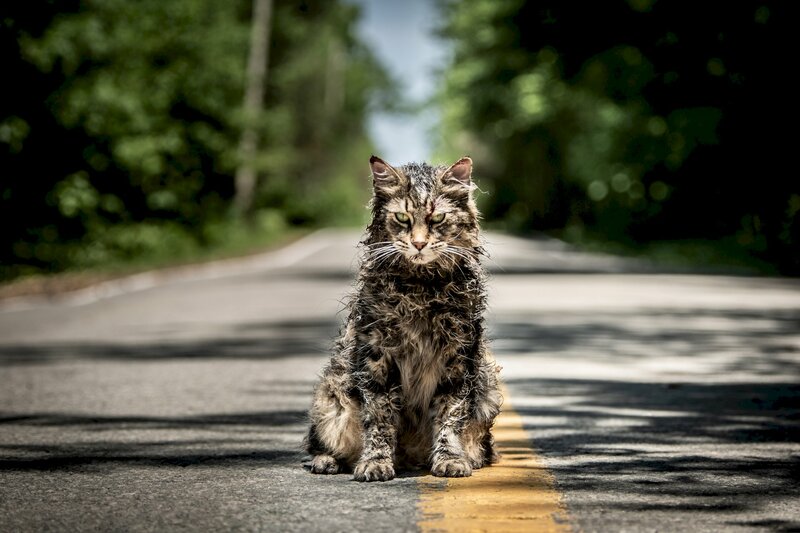 Despite the bleak tone remaining fully intact, it’s a shame then that for the final act Pet Sematary descends into familiar, generic territory where jump-scares in favor of approaching dread and the story is driven swiftly to its conclusion. I remember reading the book as a teen and – having at the time never experienced grief on a personal level – had an overwhelming bout of despair. In the best way possible, when I watch a horror film I want to be horrified. Grief is a complex emotion that was always going to be difficult to portray on screen, but even with some perfectly suitable performances (Jason Clarke in particular) Pet Sematary can never fully realise King’s true horrific vision with studio heads undoubtedly concerned with box office returns. 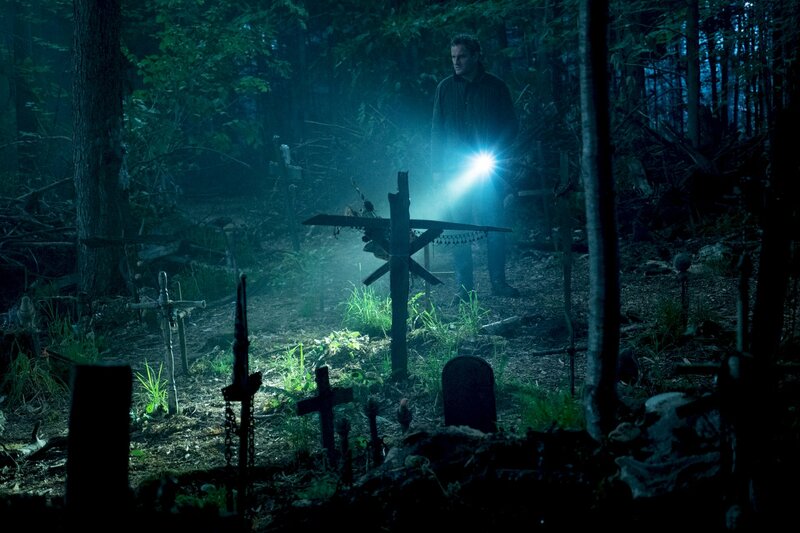 With the tagline ‘Sometimes dead is better’ Pet Sematary acts as a metaphor for Hollywood to start looking further afield for original horrors. When your peers are the likes of Us, It Follows, Hereditary and Get Out, Pet Sematary simply falls well short and sits comfortably within the long line of generic modern horror – not bad, serviceable and firmly placed on the production line.